Do you accept cashier's checks? I am tax exempt. What proof of exemption do I need to bring with me to pick up my order? I need to return a product, but I don't have a Return Merchandise Authorization number. Can I come to CDW Will Call and have the return number processed there? I sent a copy of the purchase order to my account manager. Do I still need to bring a copy with me for pickup? 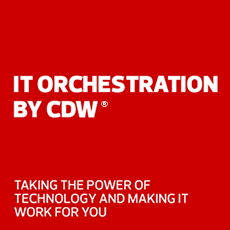 Get in touch with CDW Support via phone, chat or email.